I love candy corn! Of course, I am very particular who the candy maker is when I purchase my candy corn, pumpkins and autumn mix. Have you ever mixed candy corn with cocktail peanuts and display the mixture in a glass pumpkin jar? It makes a beautiful display and it is soooo good! 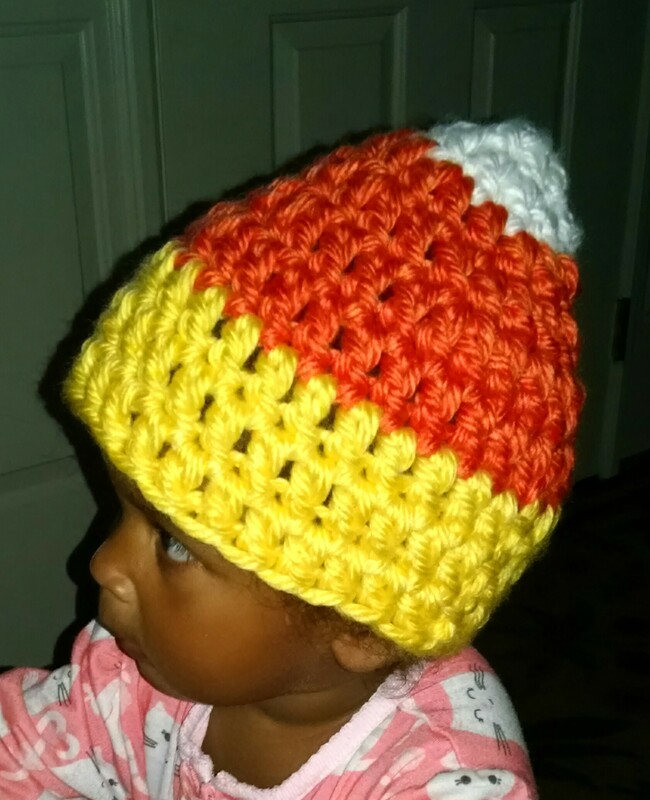 In the spirit of the fall season and my love for candy corn, I thought it would be fun to make Candy Corn hats. They come in infant, toddler and children sizes. They are made with soft and warm yarn. As a short time offer, Nesting By Robin is selling this new item at a 50% discount, $10 each. Normal value $20. Nesting By Robin, let us help you celebrate the season!